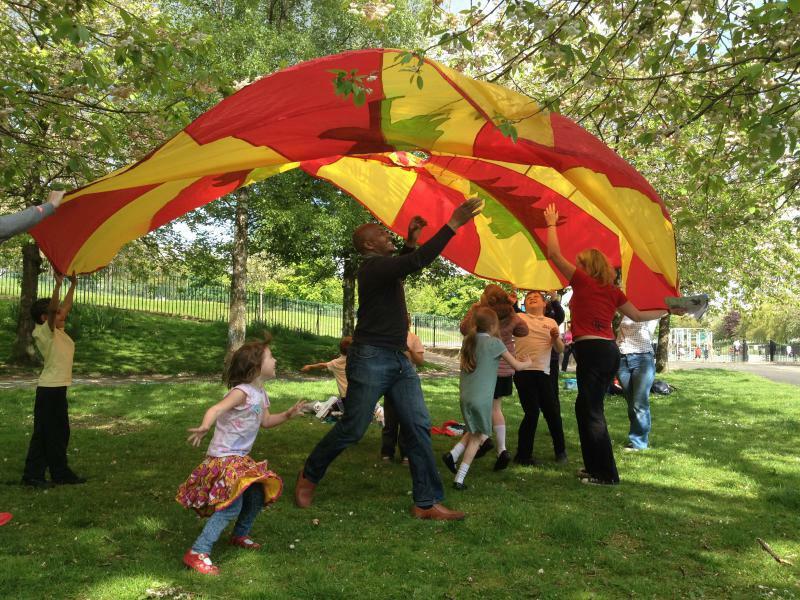 ...is movement for children and young people, open to everyone from birth to adult. We offer a place where children will grow in confidence, learn about the world and start to understand how to value our planet and each other. 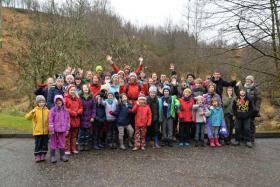 At Woodcraft Folk we believe passionately in equality and co-operation: everyone is welcome to join our groups. Every week thousands of volunteers and young people meet in school halls, community venues and a host of other places to learn about big ideas through fun activities like singing, camping, playing and debating. Find out more about how Woodcraft Folk works here. Woodcraft Folk's Eastern Region is made up of 24 groups, gathered into 10 Districts. There's an Eastern Region Gathering each year, where members come together to make plans for the coming year, and celebrate the values and activities we have in common. Within the Eastern Region, Suffolk is home to Darsham Country Centre, the Woodcraft Folk-run centre that's housed in an old station building - where the train still stops! 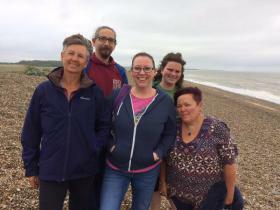 Woodcraft groups from all over the UK love staying at Darsham and making trips to the coast, Walberswick and Minsmere bird reserve. Venturers in Norwich recently created a postcard to promote their group - the banner above is taken from their design. If you live in Norfolk, Suffolk, Essex, Cambridgeshire, Hertfordshire or Bedfordshire and would like to be part of a Woodcraft Folk, click here to find your local group. New Groups Project Eastern was started up in June 2017 with funding from the Government and the Big Lottery Fund. The project is focused on working with existing groups in the region as well as setting up new groups - finding new volunteers and young people to be involved. The funding is aimed at young people age 10-18 - so mainly setting up new Pioneer (10-12) and venturer (13-15) groups. Many of the roles we'll be recruiting for will be for this project, so find out more here and follow us on icanbea... for updates - or contact lauren.karstadt@woodcraft.org.uk to find out where and how you could get involved. Our name refers to the skill of living close to nature, in the open air - we don't make a habit of hugging trees though occasionally we have been known to craft things out of wood and we do encourage all our members to come and camp with us. About once a term we will talk about an issue at levels that match the age of the children and young people, to help them explore the world around them. This could be something to do with the environment, or why an election is important and what the different parties stand for. 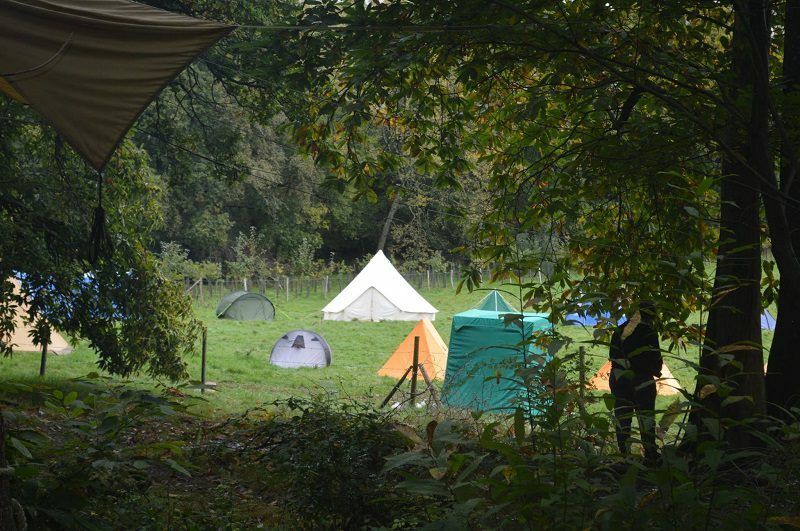 We organise hostelling and camping weekends throughout the year and camping is a large focus in the summer holidays. 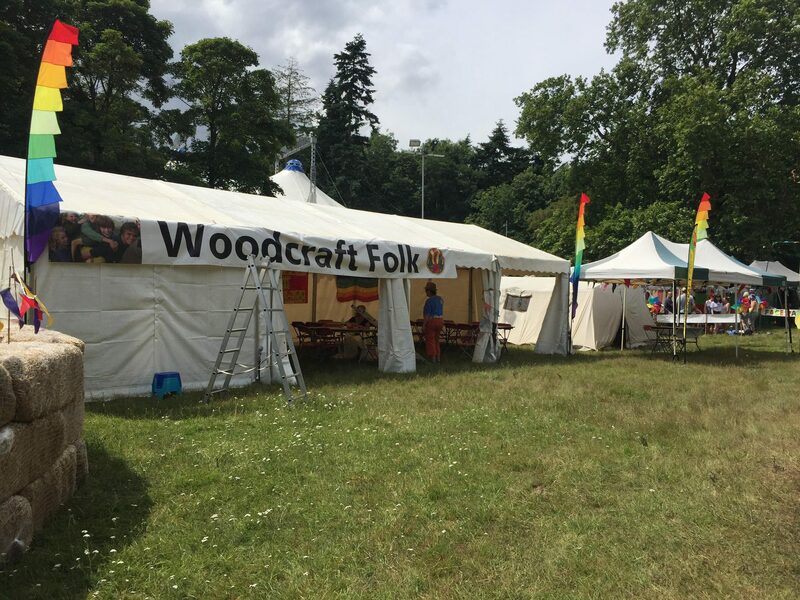 Woodcraft Folk groups from across a town, region and sometimes across the UK come together for summer camps, where members of all ages take responsibility for cooking, cleaning and organising activities. Many of our young people join international camps and exchanges too. To check the dates of our upcoming activities and camping, please click here. Woodcraft Folk groups are run co-operatively, with children, young people and adults working together to learn about the world and develop skills and confidence. Woodcraft members are united by our shared values of peace, co-operation, and equality. Woodcraft Folk costume is a green top with our logo. Children can choose to wear the traditional green shirt, “woodie hoodies” or t-shirts designed by young members. These are available to purchase from Folk Supply. We believe our organisation provides an informal and supportive environment for young people to develop their ideas, share experiences, explore opportunities and make life-long friends locally and beyond. 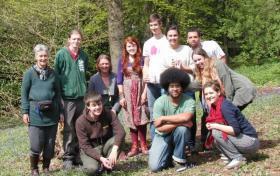 How do you start volunteering with Woodcraft Folk? Have a read of our Volunteer Guide to find out more about how Woodcraft Folk works and the range of ways to get involved. Check out our online map to find a group near to you and contact them directly to see if they need new volunteers. To find a group near you, see our online map. Why not contact a group directly to see if you can volunteer. Or fill in an expression of interest form to let us know where you’re based and what types of activities you’re interested in. We’ll get back to you with more information and put you in touch with volunteer co-ordinators in your area. What support is available for volunteers? Training to develop new skills and ensure all our volunteers feel confident in their roles. Woodcraft Folk has a volunteer policy, which gives further detail and is important reading for new and existing volunteers. Click here to find out more. Volunteering with us could give you the chance to work with young people, support a local community organisation, attend exciting, amazing events…and much more besides. It can be inspiring, enriching and life-changing. Bury St Edmunds. Lowestoft. Ipswich.